Are categories necessary for GDPR? Categories are not necessary for the GDPR or any other privacy law. The misunderstanding seems to be that when the first Cookie Banners appeared most categorized their cookies, so the user could choose which category they would allow to set cookies in their browser. Categories like: Social Media, Statistics, Advertising and so forth. The most likely reason is monetization of personal data, whereby a full dismissal of cookies would mean a downfall in revenue for organisation who’s main source of revenue was advertising, or selling products with remarketing and tracking user’s behavior. Most of them chose a Cookie Wall for this purpose, or pre-select categories, both of which are not allowed. So what should you do to comply to the GDPR and have a higher conversion on collecting the right data for your organisation, without a Cookie Wall or Pre-selected categories? 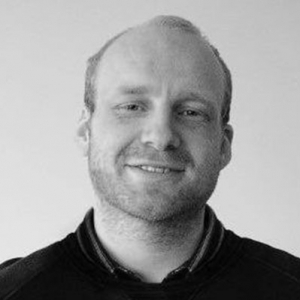 Will your website visitor’s actively give consent per category when asked? Does anyone select “Advertising” on a Cookie Banner when asked, or do most Save the default preferences: “Functional Cookies”? With the latter being the one-click solution. Why use categories? And why not! So why use categories at all? 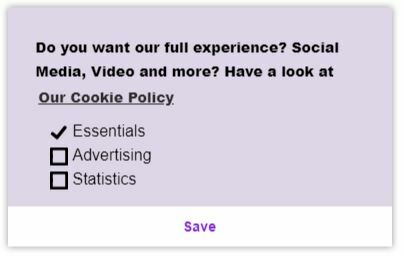 The main reason should be your website visitor will have access to content they wouldn’t have without the set cookies. For example: YouTube video’s will be blocked before consent, if your website serves YouTube video’s for content purposes, the visitor should be able to enable YouTube video’s. And this is where most Cookie Banner with categories do not suffice. Most banners or implementations we have seen will not block YouTube Video’s before consent, or categorize them in the first place. Our proposition is different. First, you will be able to categorize your cookies like any other banner, if you like. But we prefer the most simple and user-friendly option, which in result seems to have the highest conversion rate in comparison. Use a non-obtrusive cookie consent banner, with a simple “Accept” and “Decline” button. Tell them why you would like them to accept all cookies. And if they didn’t, try again. But this time with the content they’re missing out on. For example; YouTube Video’s. We have added a placeholder when video’s are blocked to convince your users once again to accept all cookies. Just keep it simple. No need for complex preferences per user. Just keep Analytics anonymized (read this) and your non-functional cookies under “Accept”. For more complex situations, like Affiliate websites, Advertising Platforms, we will release a Data Review shortly with A/B/C tests, to show Simple is Better. All possible with Complianz, even the A/B Tests, so you can see for yourself. If you want to add categories to your banner. Take these quick steps to implement them in Complianz. If you use Tag Manager to serve scripts, your Cookie Consent Banner will automatically switch to categories. This can be undone if needed, but in this case we will consider categories only. Use this article to configure your cookies for Tag Manager. Above banner can be achieved without Tag Manager as well. After you’ve completed the wizard, you’re asked to continue completing your banner settings, which includes toggling Categories on or off. Statistics* (or any name) for the script you’ve entered in the wizard. Marketing or All Cookies. The last category. The last category will be all scanned 3rd Party cookies, plugins and scripts installed in our script center. This also includes iFrames from Vimeo, YouTube, Facebook and other 3rd Parties. What we have learned the last year is user-friendly, easy navigating and non-obtrusive are the way to go, for your users and the GDPR. Maybe, just maybe we can make it even a bit more fun.